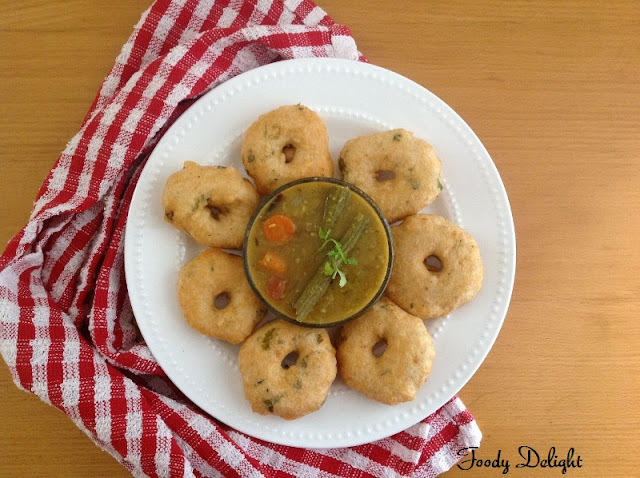 Medu vada is the most popular snack of southern India. Medu vada is also named as Uddina Vada .Medu vada is a urad dal based fried snack is one of the delights from the South Indian cuisine. 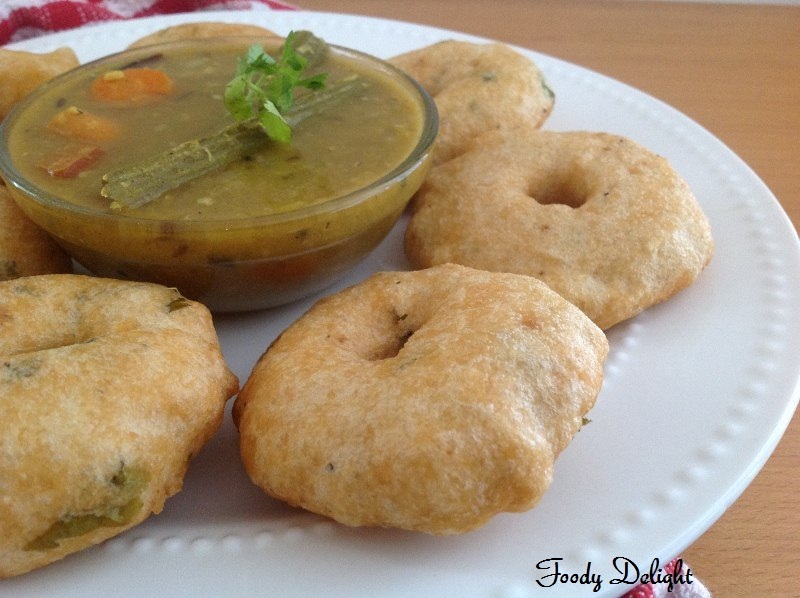 The urad dal is soaked then grounded, mixed with some herbs and spices and deep fried. 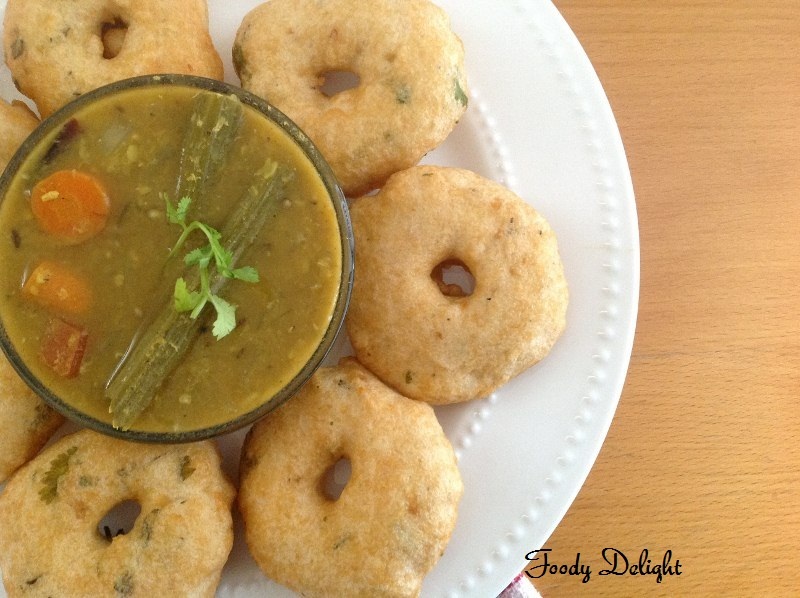 Medu vada is best served with sambar and coconut chutney as breakfast or snack. 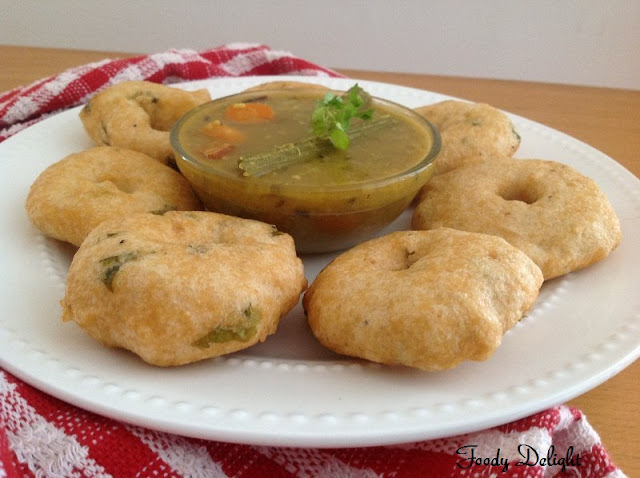 Check the sambar recipe " here"
Soak the urad dal into water for 5 hours. Then grind it into smooth batter, by adding little water as possible. Finey chop the green chillies, ginger , curry leaves and cilantro. Add them into the smooth batter. Also add crushed black peppercons and salt, adjust as per your taste. Mix everything well. Heat oil into the pan on medium flame. Dip your hands into water and take a small ball of batter, give it a round shape and then make a hole at the centre. This needs little practice at the beggining. Another method is using parchment sheet.All you have to do is sprinkle few drops of water on the sheet, take small ball of batter and place it on the parchment sheet, make a hole at the centre and slide it slowly into oil. Fry the vadas till they are golden brown in colour. makes me hungry here.. so crispy and delicious..
Vada looks so soft n delicious! Nice presentation dear..
Good one Pranjali !! 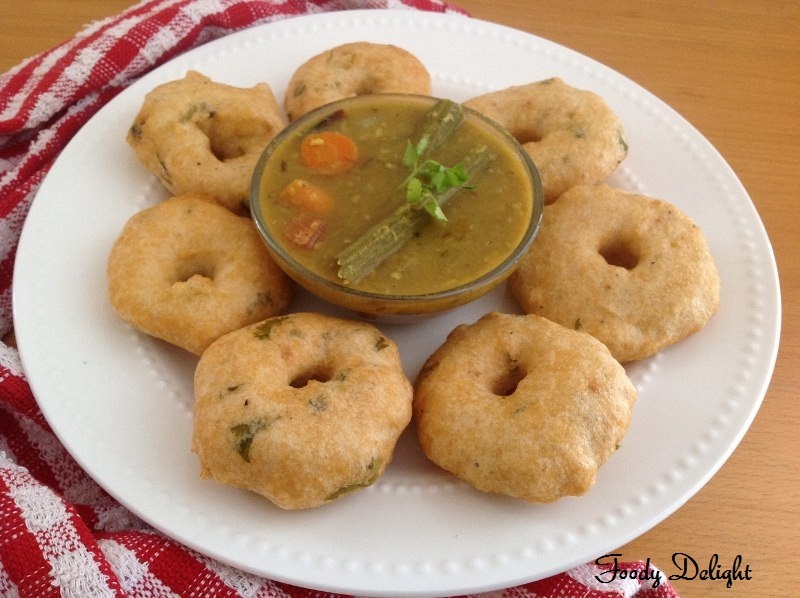 I love this vada but never tried at home.. looks yummy ! yummy and my favourite...nice one..